Home » Blog » Buy a Bike, Get 10% Off New Accessories! Buy a Bike, Get 10% Off New Accessories! Just in time for springtime riding, we are offering 10% off of all new retail accessories with the purchase of a bicycle at our shop! 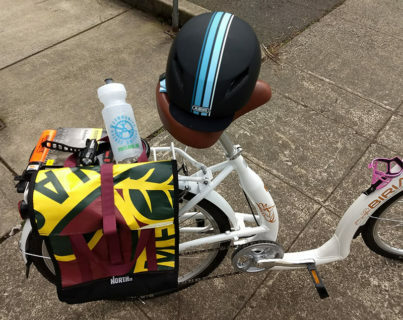 When you buy a new–or new-to-you–bicycle, you can stock up on a new helmet, lock, lights, and racks, to name a few items. And we all know that a bike without a bell is like a bird without a song. Locks and helmets and lights, oh my! We hope your spring is already off to a wonderful rolling start, and we hope you feel welcome and encouraged to join us at the shop to get a decked out bike for your next cycling venture.